This is a captivating How-To book about Nameology unlocking the secrets in your name. All the tools and information are here to reveal the mysteries in your own name as well as those of lovers, children, friends and family. Your name hides secret talents, hopes, fears, blessings and obstacles. If you knew what they were, would you change careers or mates? Is success, wealth or fame hidden in your name? What should you name your baby? Discover these answers and much more. 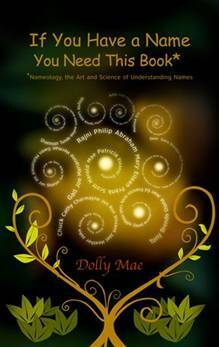 From thousands of intuitive readings comes this intriguing work blending the intuitive arts with the science of the alphabet, the meaning of the letters, their numerical values and their specific placements in your name. Use the worksheet pages to easily discover your own gifts and challenges! There are secrets in Double letters, Vowels and the Pivot letters in the middle of your name that reveal so much about you. From its roots to its fruits see what gifts and challenges grow in your name! If you have a name, you need this book!